For a while now I have been searching for a way to make the experience of cutting my eldest dog’s nails a pleasant one. Before the onset of her arthritis and H.D, cutting her nails as been a fun and social experience for her. It was always accompanied with lots of treats and ball-throwing. When the nail clippers came out she was bouncing around and could not wait. As her arthritis (which is under treatment) progressed, I had to have a second person assist me, eventually it became such a struggle, that we ended up at the vet, having to muzzle her. In the end it became so traumatic for her that we needed to sedate her. I have tried lots of methods, but nothing seemed to decrease her anxiety about having her nails cut. She has the nail-growth most woman dream of; very quick and strong, and walking on tar each day, did not seem to wear them down at all, even though she is a large German shepherd. She needs her nails cut about every two to three months. This I decided could not go on and I went searching for something else. I came across an article ‘The doggy nail file’, written by Shirley Chong (www.ShirleyCong.com). The doggy nail file technique is where the dog files her own nails!!! (See photo) For dogs and owners that are already clicker-savvy, this technique is really quick, easy and most of all, FUN FOR THE DOG! Let me explain. First, make your own nail filing board. The size of the board will depend on your dog’s conformation. Larger dogs will need larger boards, i.e. 30 cm wide and 60 cm long. Cover the board by gluing fine sandpaper to it. As the dog starts to file her nails, then switch to a coarser sandpaper. I was in such a hurry to try this method that I just used a normal sturdy clip board with the sandpaper clipped on (see photo). Have some very tasty treats and your clicker handy. Your dog can sit or stand in front of you. Hold the board at an approximately 45degree angle between your knees and at a height your dog will be able to reach comfortably. 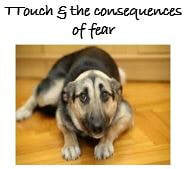 Ask your dog to give paw and hold your hand over the board. As she gives paw, click and treat. Do this a few times. Then ask her to ‘give paw’ and take your hand away, just as she gives paw. She will then touch the board with her foot, click and treat. Do this a few times and then wait for her to offer you the behaviour. Dogs that have been clicker trained will automatically start trying to figure out how to get the treats you have. They will start to offer you the last behaviour they did that got them the treat. When she paws the board out of her own, click and treat. Within a few trials you will see that the dog arches her toes and hold her foot in a cup position so that only her nails make contact with the board, which will protect her pads. Once she has figured out it is touching the board that makes the click happen then start to withhold the click when she touches, this will almost certainly lead to the dog making a raking motion with her foot on the board, then click and give her jackpot (lots of treats). Once they figure out it is the raking motion that gets them the treat, they enthusiastically start to rake on the board. Most dogs will alternate their paws. Because my dog only gives paw with her left foot, I had to teach her to also use her other foot. To achieve this I used a learning theory called ‘extinction’. This means that if some behaviour in the past leaded to reinforcement and now does not seem to get the same favourable consequence, the dog will try harder at the behaviour. I just stopped clicking for her left-foot-pawing. Within a few trials, she switched paws and voila, a jackpot of treats came her way. After obtaining fluency with both paws, I just added in a different cue for each foot-raking, i.e. ‘paw’ for her left foot and ‘foot’ for her right foot. In the beginning, dogs that have long nails will file their nails at funny angles and unevenly, but with time it will even out. It also depends on the angle and height that you hold the nail-board. Some dogs will find it easier if it flat on the ground (kept in place by you putting your foot on a corner of the board) or at a slight angle. When not using the board, put it away to prevent the dog from ‘quicking’ their nails. If your dog cannot give paw then you can ‘shape’ the pawing motion or you can teach her to ‘give paw’ first. Shaping is the rewarding (clicking and treating ) of approximations of behaviours towards a target behaviour (paw rake). Place the board on the floor between you and your dog, if she sniff or looks at it click and treat her. Do a few trials. She will learn that something about the board is making you click, which means treats for her. After a few trials, stop clicking if she looks or sniffs at it. She will now try something else to make you click, if she does not touch it with her feet, move a little backwards, this will entice her to move towards you and thus step on it, as the board is between you and her. When you treat her, treat her away from the board. Move around the board, so that is constantly between you and her. She will have to step on it to get closer to you, click and treat. Do a few trials until you see she starts stepping on it on her own. Then you can withhold the click to get a raking motion as described above or you can start to hold it at a slight angle so that she can still touch it easily. It such a pleasure to see her now, when I take out the nail-board. She jumps around and can’t wait for me to place the board down for her so that she can start to earn some tasty treats!! If anyone would like some help with this method, then please contact me so that we can make trimming your dog’s nails a pleasant experience!! Does your dog have Fritos Feet? O​ne of the biggest myths I hear is that clicker training isn't good for stopping problem behaviors. Part of that myth stems from the belief that because clicker trainers don't use positive punishment, there are no consequences for undesired behavior. Of course there are! We just don't have to use fear, pain, or intimidation. One of the biggest myths I hear is that clicker training isn't good for stopping problem behaviors. Part of that myth stems from the belief that because clicker trainers don't use positive punishment, there are no consequences for undesired behavior. Of course there are! We just don't have to use fear, pain, or intimidation.